It proved to be Ferrari's first win at the circuit since 2011 and Vettel's first win in Silverstone since 2009, and it couldn't have come at a better time. 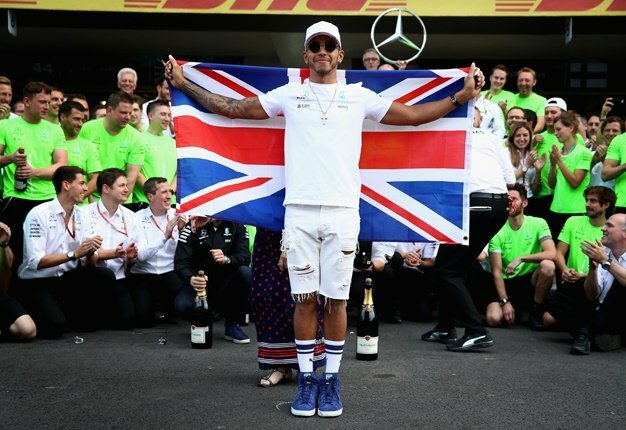 There was a definite buzz in the air that Lewis Hamilton would take a record fifth win in succession and a record sixth overall. It looked as if the gremlins of the Austrian GP came back to haunt Mercedes as Kimi Raikkonen collided with Hamilton on the opening lap and went from pole position to dead last. An inspired drive saw Hamilton slowly work his way up the grid and finish the race behind eventual winner Vettel. 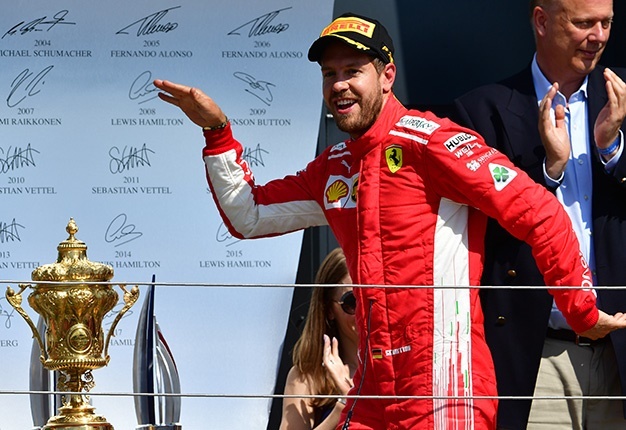 Vettel now holds an 8 point lead over Hamilton but the Ferrari driver will be looking to pick up consecutive wins on home soil at the German grand prix in a few weeks time. There was no stopping the four-time champion as he seized the lead at the start of the race and fought back after losing the initiative during two safety car periods to register his second win at Silverstone and the 51st of his career. The win also means he equals the tally of F1 great Alain Prost. Vettel's team mate Kimi Raikkonen also finished on the podium in third place with Valtteri Bottas in fourth. With the German grand prix coming up in a few weeks time, Vettel will be looking forward to a homecoming of his own. Lewis Hamilton crashed out on the first lap and thrown all the way down to last place on the grid. Hamilton showed his superior credentials and driving ability when he powered through the grid but ultimately came up short in the end. Take nothing away from his second place finish and can also be considered as a win in a different sense. Kimi Raikkonen was handed a 10 second time penalty after his first lap crash with Lewis Hamilton which effectively cost him the win. Everyone knows the 'Iceman' is not one for talking much or showing emotion but he conceded that he was at fault for the incident. Red Bull also had a frustrating afternoon when Max Verstappen failed to finish the race while Daniel Ricciardo ended in 5th place. It was a case of being brought back down to earth for Red Bull after Verstappen's impressive win in Austria last week. Ricciardo currently sits 4th in the overall standings and will be looking to improve on that come Hockenheim and the German GP in a few weeks time.